My daughter loves anything that involves a hunt! 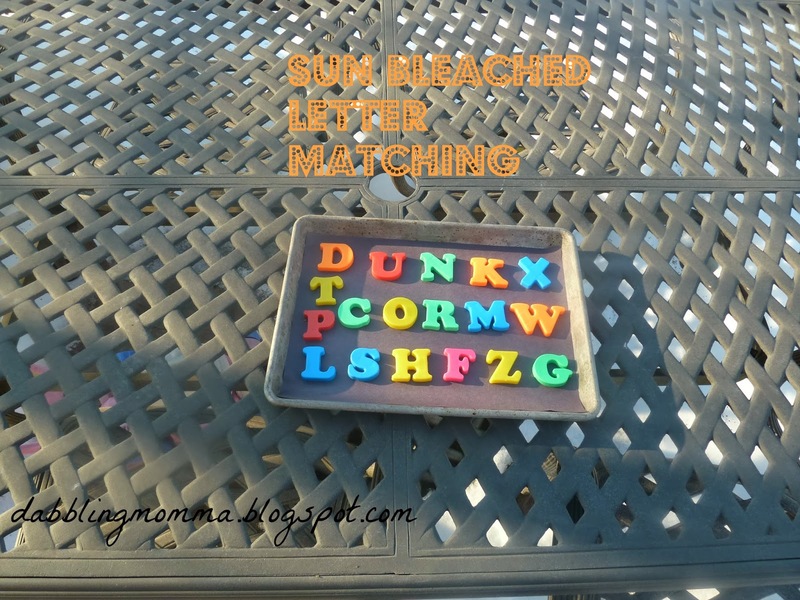 When I saw this post on Pinterest about sun bleached letter matching I knew we had to give it a try. First, I gathered whatever magnet letters we had (I chose random letters), put them onto a black piece of construction paper which was placed on top of a baking sheet and then out into the sun for a few hours. 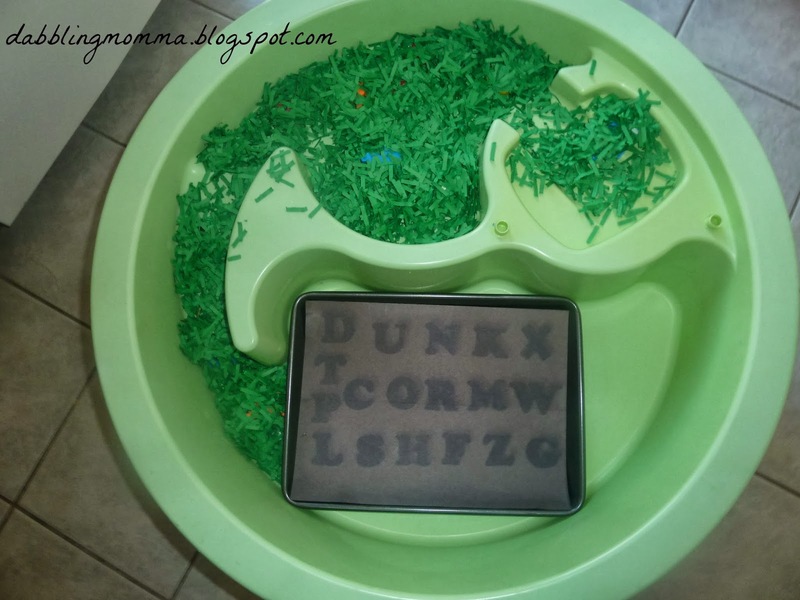 I set up our water table with some shredded green paper which I had left over from our Shamrock craft and hid the letters in the shredded paper. 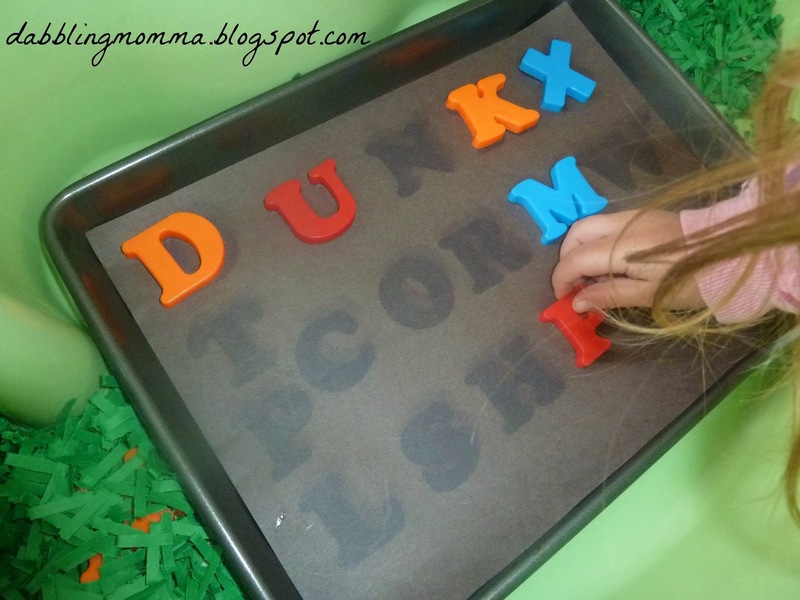 Tiffany had fun searching for the letters and matching them to the sun bleached letters on the paper. 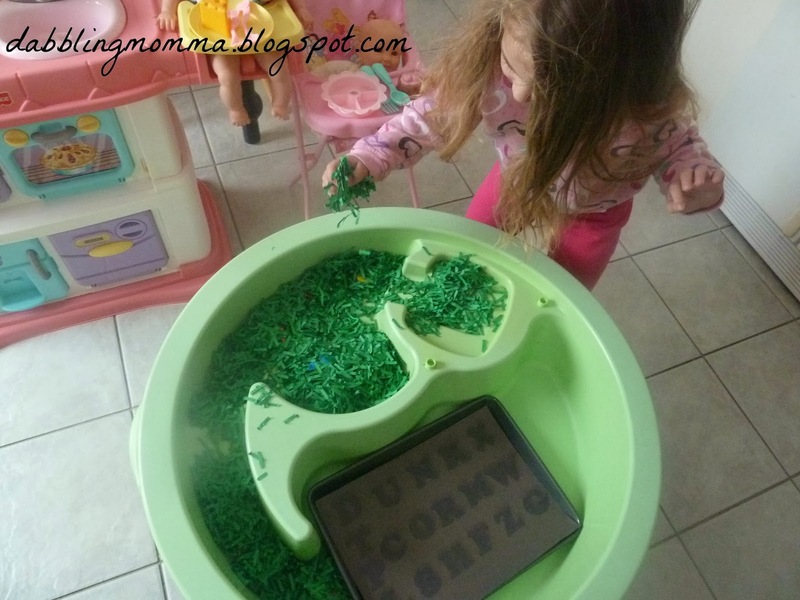 This activity helped with letter recognition and offered sensory play by including the shredded paper. It was also neat to see how the sun bleached the letters into the paper! This is awesome, I love it! Thanks for sharing on my #SensorySunday share day! This is a great idea and gives me lots of inspiration for sun-bleached activities. Thanks for linking up with the MaMade Blog hop! Thank you! I'm thinking what other things I can sun bleach, lol!! Love this!! I'll be sharing this tomorrow on Share It Saturday. Thanks for linking up! Karyn, thanks for the share!! Glad you like this activity!! Have a great weekend! Thank you!! And I appreciate the pins! I'm so glad you enjoyed the activity, thank you for sharing! We are definitely gonna do this one! 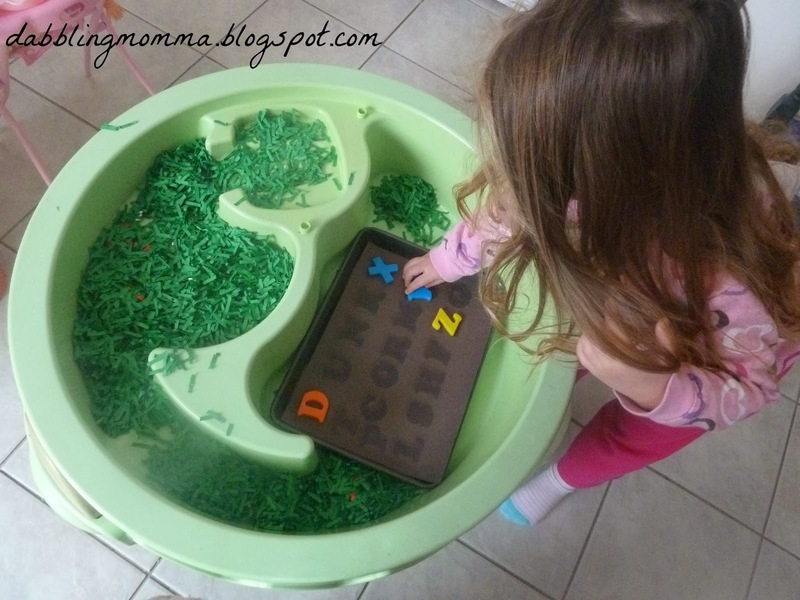 Fro Baby is currently back into her alphabets also, and I had been thinking up games for her to play with the letters. This will be a hit! Natasha, this was such a fun activity! I haven't tried sun bleaching anything else but I've been meaning to.